Traditional retailers’ IT Ops teams are moving a greater percentage of their business-critical workloads from their datacenters to public clouds than their counterparts in other industries. The shift, a prevailing focus at last week’s annual National Retail Federation (NRF) show in New York, is poised to continue over the next few years. Various studies that compare infrastructure strategies point to enterprises that provide merchant services including retailers, quick service restaurants and business in the transportation and hospitality industries, are moving workloads to the public cloud or transitioning from traditional applications to SaaS. Among the cloud giants, Microsoft and Google are key beneficiaries of that shift, as retailers are looking to avoid, or move workloads away, from Amazon Web Services (AWS). Of course, AWS’ parent – Amazon — is the largest online merchant and has become most traditional retailers’ primary competitor. 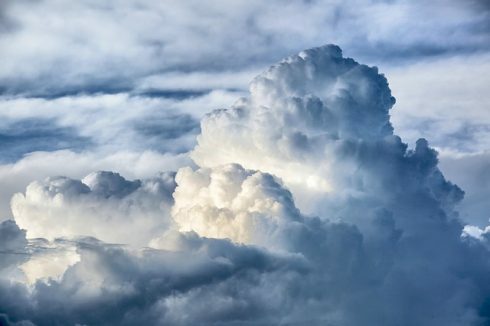 Notably, these companies are now running 15 percent of their workloads in public clouds, compared with 12 percent among the average of all industries worldwide, according to a survey of 2,300 IT decision-makers worldwide, of which 329 are retailers. Nutanix, a leading supplier of hyper-converged and systems management software, commissioned the survey, conducted by research firm Vanson Bourne. Results broken out of its recent Enterprise Cloud Index report, released by Nutanix at the NRF show, also projected that usage of public clouds by retailers will grow to 22 percent, 7 percent higher than other industries. It comes as little surprise that many retailers are fighting for survival amid fierce competition from their online counterparts. Indeed, cost is a key factor, with many businesses operating on thin margins. Consequently, they are traditionally more reluctant than enterprises in other industries to invest in new technology unless they’re confident it will reduce IT and adjacent operations costs, and help improve revenues, said Vijay Iyer, VP and general manager for DXC Technology’s Consumer Industries and Retail practice. While 37,000 attendees at last week’s NRF conference saw robots, digital signage, modern point-of-sale devices, intelligent shelves and modernized inventory management systems, Iyer’s retail industry clients, many of which are major brands, typically look at many of these advances with initial skepticism. The good news is that many traditional retailers are seeing the move to cloud as an opportunity to take cost out of their IT operations. A McKinsey study published in August found that only 43 percent of workloads still run in on-premises virtualized infrastructure. In two years, the report forecasts that figure will drop to 29 percent. The Nutanix study had similar findings with 41 percent currently running in workloads in a traditional datacenter today but that figure will drop to 18 percent, and it also found that 93 percent of respondents in the retail sector see hybrid cloud as the optimal IT delivery model. That’s also a higher percentage than other industries, but predictable given that many of the various forms of retailers can have hundreds or even thousands of distributed remote locations. In many cases, those distributed locations have few employees and rarely have one with IT operations expertise. Drawing customers to those remote locations, especially younger ones, remains more challenging for retailers that have online competitors. Those looking to remain relevant can’t ignore the need to provide an equal or superior digital experience, both online and in their respective physical stores or locations, said Subbu Iyer, CMO and senior VP at Riverbed Technology. Riverbed, which is known for its SteelHead SD-WAN and SteelCentral network and application performance offerings for enterprises such as retailers with numerous branch locations, released results of its own survey of 3,000 consumers worldwide at NRF. The survey found that 89 percent believe a positive digital experience is as important as price, with 79 percent saying that traditional retailers will not remain competitive if they can’t address that within three years. Also, 47 percent of consumers visited a retail store for the first time if it had an engaging digital experience and 68 percent would consider going to a store for the first time if such investments were made, according to the survey. Jeffrey Schwartz has covered all aspects of IT, from datacenter, networking, storage, cloud and end-user client computing infrastructure, to software development, collaboration and services for nearly three decades. Most recently he was editor-in-chief of Redmond magazine, where he also had roles with sister publications Virtualization Review, Application Development Trends and Visual Studio Magazine, among others. Follow him on Twitter @JeffreySchwartz.